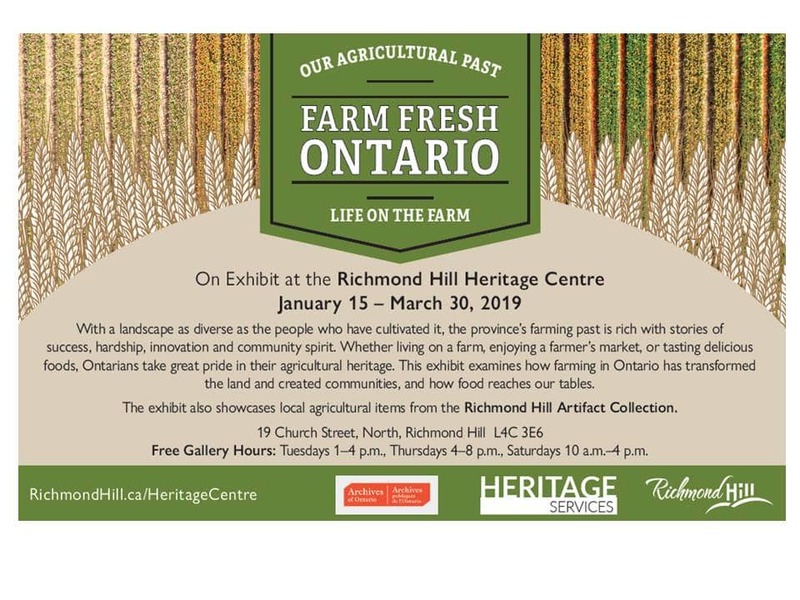 On exhibit at the Richmond Hill Heritage Centre, Farm Fresh Ontario is an exhibit on local farming, past and present. With a landscape as diverse as the people who have cultivated it, Ontario’s farming past is rich with stories of success, hardship, innovation and community spirit. Whether living on a farm, enjoying a farmer’s market, or tasting delicious foods, Ontarians take great pride in their agricultural heritage. This exhibit examines how farming in Ontario has transformed the land and created communities, and how food reaches our tables. The exhibit also showcases local agricultural items from the Richmond Hill Artifact Collection. On through March 30, 2018.